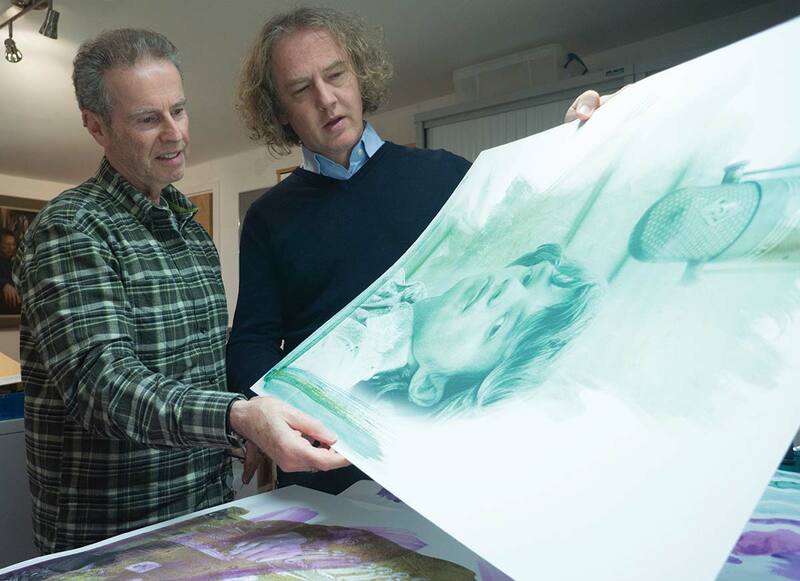 Royal artist Christian Furr and Godfather of Rock Photography Gered Mankowitz have known each other as friends for over 12 years so their decision to create a new Art collection together happened almost naturally. ‘I have lived with Gered’s work on my walls for many years and I kept seeing them in different vibrant colours.’ After a chat with Gered about a collaboration the ‘45RPM’ collection was born. This stunning array of works features hand worked uniquely painted original prints such as ‘The Rolling Stones’, ‘Jimi Hendrix and ‘Kate Bush’, bringing Furr’s distinct painting style to some of Gered’s most famous and iconic photographs. The title 45RPM (45 Revolutions per minute) comes from Gered’s background in music – recording the icons of music through his classic photographs of musicians who made their careers with single sales (’45’s) and the revolutionary power of Art.